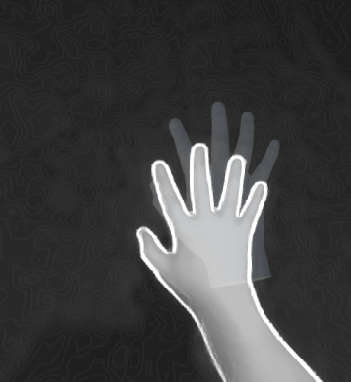 We are trying to tie virtual hands in VR, virtual objects in Unity & solid objects on a set, so we need to have the virtual hands at the exact same position in the virtual room as they are in the real one. This happens independently of where the hand is in the FOV, where we look, and where we are in the room. 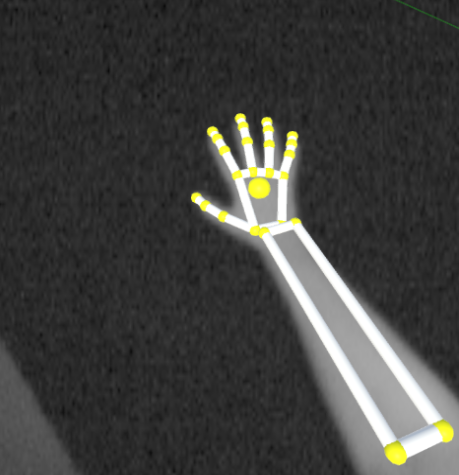 So there we are, we wonder if this is a known issue due to Orion Beta status or the OpenVR Unity 5.4 integration, and if there is a trick to correct the virtual hand position in some way? We've had a few similar reports, but haven't been able to reproduce the problem. One suggestion was to make sure that the Override Eye Position setting of the Leap VR Camera Control component was OFF (if you aren't building an AR app). Thanks a lot, we checked and Override Eye Position is properly off. 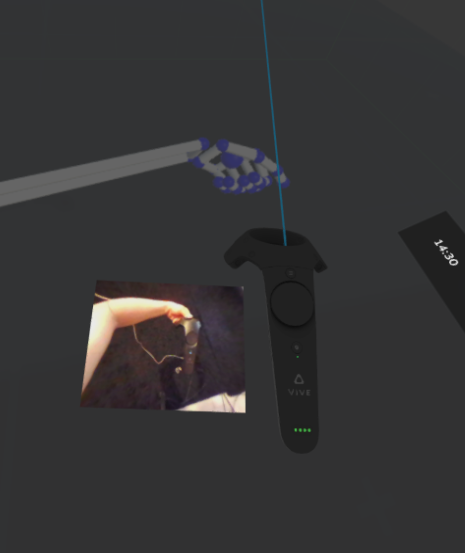 For now our solution is to use the Offset script to shift the whole scene 4cm higher than its real position, so that a contact IRL & a contact in VR happen for the eye & the touch at the same time, but this is not a good solution if other setups would not have had the 4cm issue to begin with. I have the problem where the scale movements is not the same so i need to match that too. I'm not sure if I understand you right. Just use the "scale" function within the transformation of the leap game object. What happen when you grab the controllers? I'm not sure if I did it correct. I just changed the transformation between center eye anchor and Leap Space. But before changing the transformation it looked like in your video. I have got a big offset to the other objects. I don't have controllers. The hand tracking is lost if the fingers are covered by the objects I am using. ill give it a try! Did you attempt with tool detection? i was thinking on that to increase detection but not sure if controllers will be valid as tools for the leap. I've noticed the same problem in my project as I'm trying to upgrade to 4.0.0. It seems like the problem is much worse when I try to add the XR service to my custom rig. The offset on the Leap Rig isn't super bad, but it's more than an inch off. On my rig, the problem seems significantly worse, 4 inches offset, as well as what seems like some rotation (so the capsule hands move when you turn your head but keep your hand still). My leap motion is mounted at an angle (on the front of an Acer headset), which might be where the rotation is coming from. It's worth pointing out that in the visualizer the capsule hands line up with the IR image, but both are scaled larger than reality, which hides the offset. When I remove my headset, I can see that the hand positions are more than an inch off, just like the leap rig.